Now that Obama fixed our economic crisis and everyone who wants a job has a job……He’s going to tackle Climate Change next. 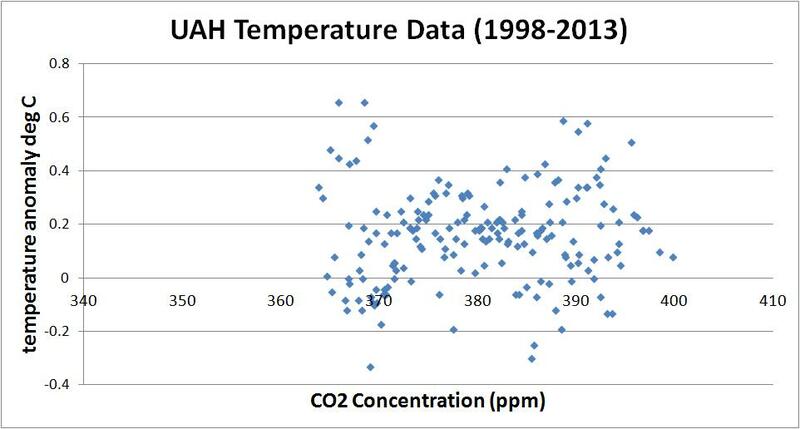 While Obama is bloviating about a topic that he knows nothing about, keep the following 5 graphs on your screen. Then ask yourself why we have a President who lacks the skills to prioritize and think critically. 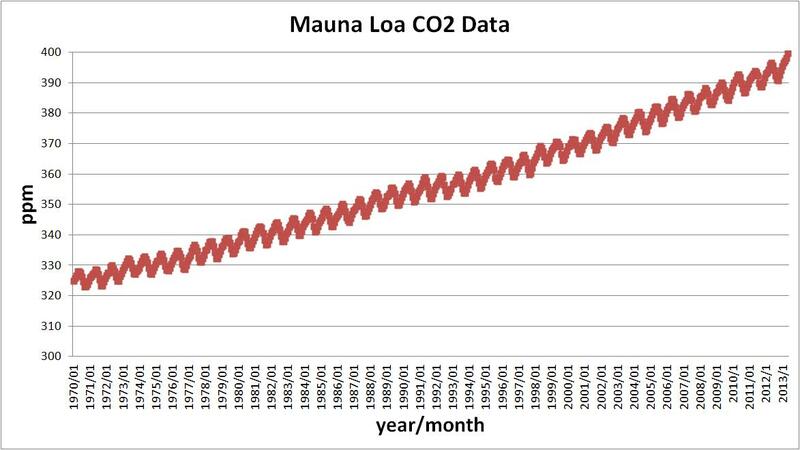 Atmospheric CO2 concentrations have been steadily increasing since we’ve been measuring it. 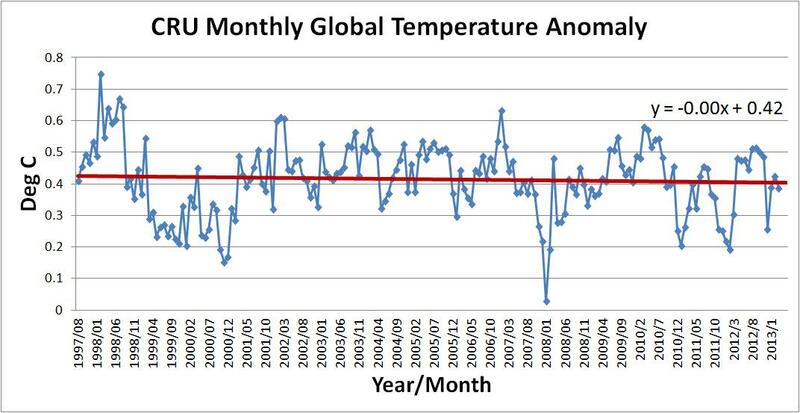 Using two different data sets, Global temperature anomalies have been flat for 15 years. 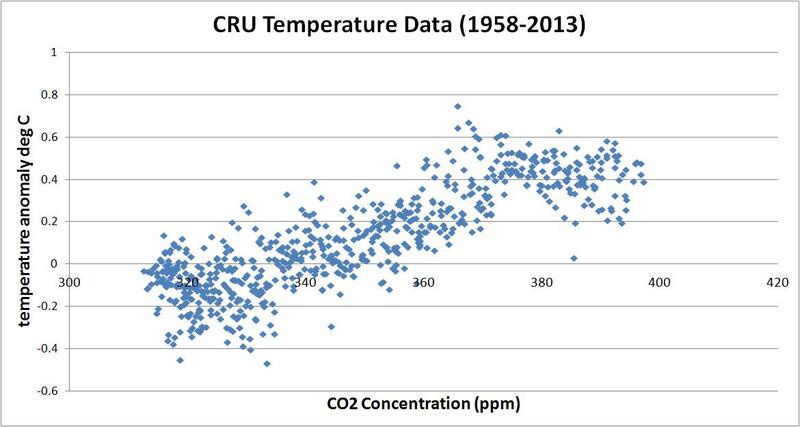 There has been zero correlation between atmospheric CO2 concentrations and global temperature anomalies during the past 15 years. Note – Links to the above data sets can be found at a previous post here. Absolutely Kyle, republish what you want. Thanks! Awesome. Will let you know. Oh, you don’t mind if I use your avatar and handle, right? I want to give the post a little more personality. No problem. I make that public on twitter and this blog so it’s no secret what I look like! Thanks for asking though. Thanks Rogue! I appreciate the positive publicity! Hey, your post did really well, that’s great. 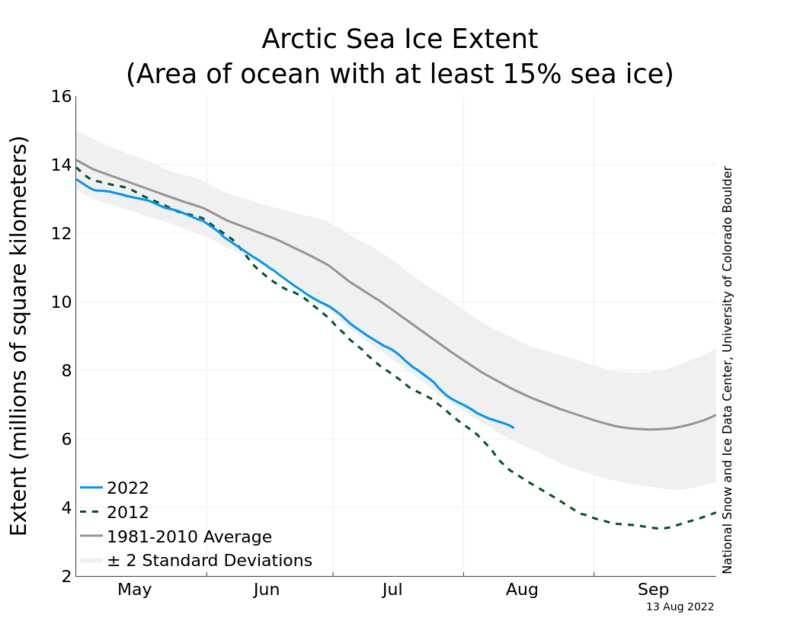 Always good to get some data out to people, so they don’t have to take whatever the government-approved scientific community says at face value. I saw that, especially the Facebook likes. Glad to get that out to a wider audience and thanks again for reposting! Keep up the good fight Rogue! As we enter our FIFTH “Summer of Recovery”, it’s satisfying to know that all is well with the economy. One can only HOPE for the same economic expertise that our President displayed to translate to his ability to “make the waters recede”…. 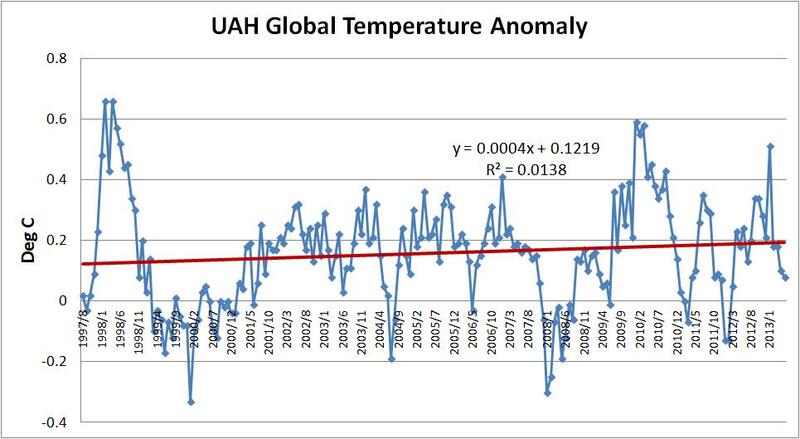 Initial Notes: This post contains graphs of running trends in global surface temperature anomalies for periods of 12 and 16 years. 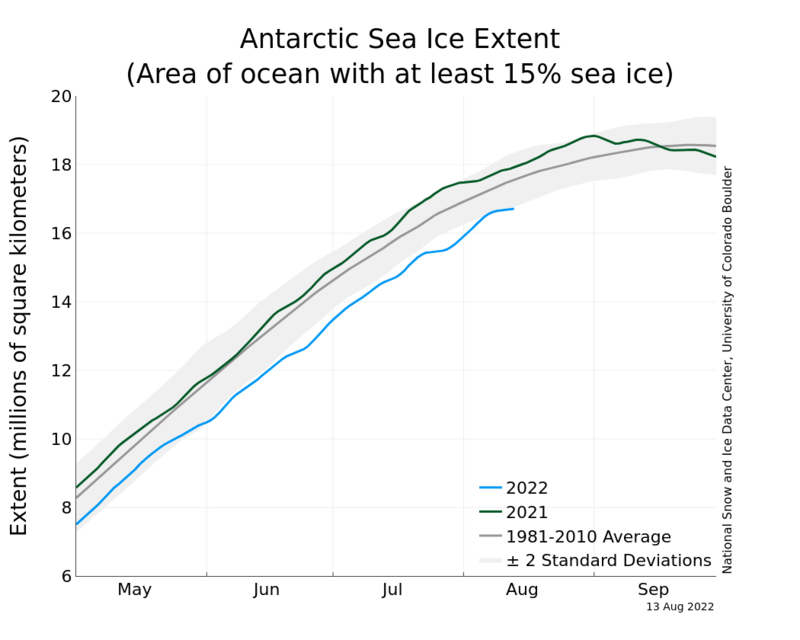 They indicate that we have not seen a warming hiatus this long since the 1970s.